This week’s blog comes from Tod Lauer, a research astrophysicist at the National Optical Astronomy Observatory in Tucson, Arizona. 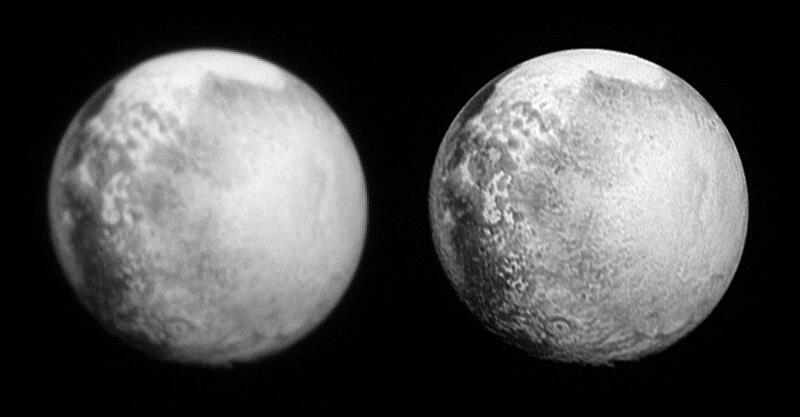 Okay, the New Horizons Pluto encounter didn’t quite play out that way, but the science team really did want to get the most out of all the images of Pluto and its moons that we could, and often, as quickly as we could. I’m Tod Lauer, an astrophysicist who mainly works on stuff far beyond our galaxy. But I also love tough imaging challenges, and I enjoyed working with New Horizons as a sort-of utility image-processing engineer. A few summers ago I wrote to New Horizons Project Scientist Hal Weaver on a whim to ask about the search for hazards to the spacecraft as it entered Plutonian space. Hal kindly replied with a note describing the capabilities of the New Horizons spacecraft and a report describing the search in detail. 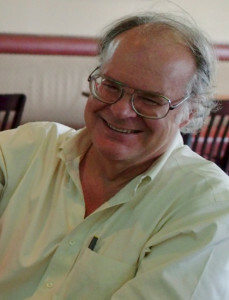 New Horizons co-investigator John Spencer, who was leading the hazard detection effort, also joined in. 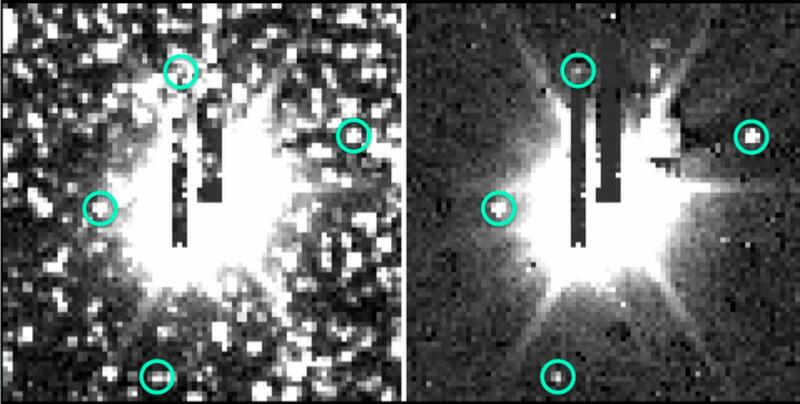 I was incredibly intrigued by the task: Search for unknown faint sources close to Pluto, which was embedded in an incredibly crowded field of stars (the heart of the Milky Way! ), using heavily compressed images with the optical blur-pattern of the camera varying significantly from exposure to exposure – all on a critical timeline. I offered one approach, which led to me joining the “Crow’s Nest” crew that John and Hal assembled to search for hazards in the distant-encounter images. This work in turn led to an opportunity for me to help out with the encounter images as well. One task was getting the best resolution out of the images. Starting in April 2015, I worked to get the first glimpses of detail on Pluto and Charon as New Horizons’ long cruise across interplanetary space transitioned into the flyby itself. This continued up to closest approach and beyond as the images came back to Earth after the flyby. This work started with weaving a set of images of an object into a master image that preserved all the fine structure scattered about the image set. The next step was to correct for the blurring due to the New Horizons optics. The final step required the greatest care – satisfying my fellow scientists on the team that they could trust the results for their research! The main objective was not to leave anything on the plate: It took hundreds of people working for two decades to get to Pluto, and it may be a while before we get back there. Every drop of information we can squeeze out of the images is immensely valuable. The best part of my experience with the New Horizons team was watching everyone work together to make the encounter a fantastic success. The hazard search concluded two weeks before the flyby, and having found nothing in our way, we stayed on our original, planned course to the Pluto system. From then on the tempo and energy level steadily rose as we flew ever closer to Pluto. For this astrophysicist, it was a treat to see the immense and diverse skills of the New Horizons team for planetary exploration brought to bear. If New Horizons were a ship, the team was its crew, with everyone smartly working at their stations but always keeping an eye on the big picture. Each of us used our talents in a unique way. No one wanted us to miss anything.